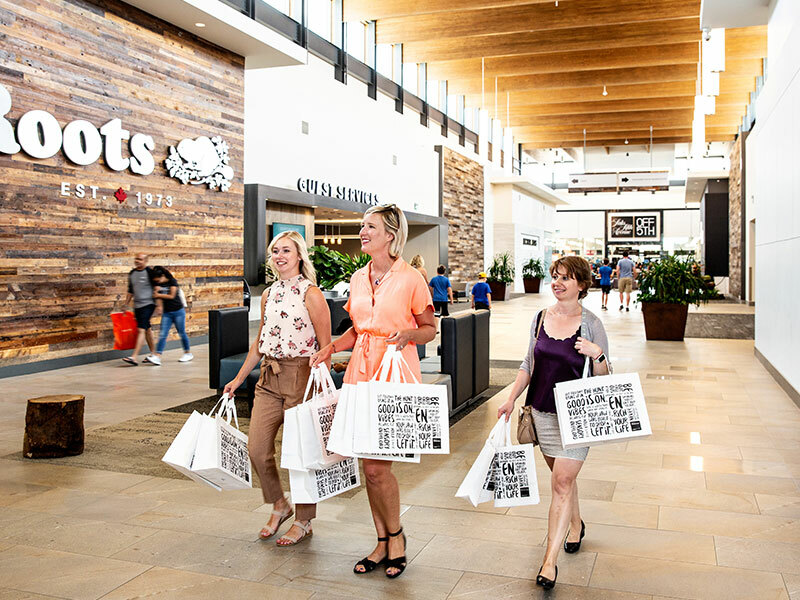 Get that Michael Kors bag you’ve always wanted at a sale price when you hit the Outlet Collection Winnipeg, where you can stock up on other designer labels such as Lacoste, Kate Spade, and Saks Fifth Avenue. Browse the over 200 stores of CF Polo Park, a centrally located mall that’s anchored by a Hudson’s Bay, complete with TopShop. Make sure to check out St. Vital Centre’s blog and shop the looks pulled from stores located in the mall. Why not discover a completely one-of-a-kind outfit? Find your next favourite designer in the Exchange District’s local, boutique shops. Put together a cutting edge look at Lennard Taylor Design Studio and finish it with a piece of eco-friendly jewelry from dconstruct. Feeling a little funky? Head down to Rooster Shoes in Osborne Village, then pop into Out of the Blue for an array of fashion statements. Must-visit boutiques on Academy Road include Mad About Style and Margot + Maude, which often source their wears directly from the maker. If you’ve done all the suggested shopping above, you must be hungry. Sample the city’s best restaurants and bars with a variety of tours. Fill your belly with comfort food like elevated mac n’ cheese on one of the Exchange District BIZ’s many guided tours. If you’re in a cocktail mood, the Downtown Winnipeg BIZ will tote you around to the best Caesar spots in the heart of the city. 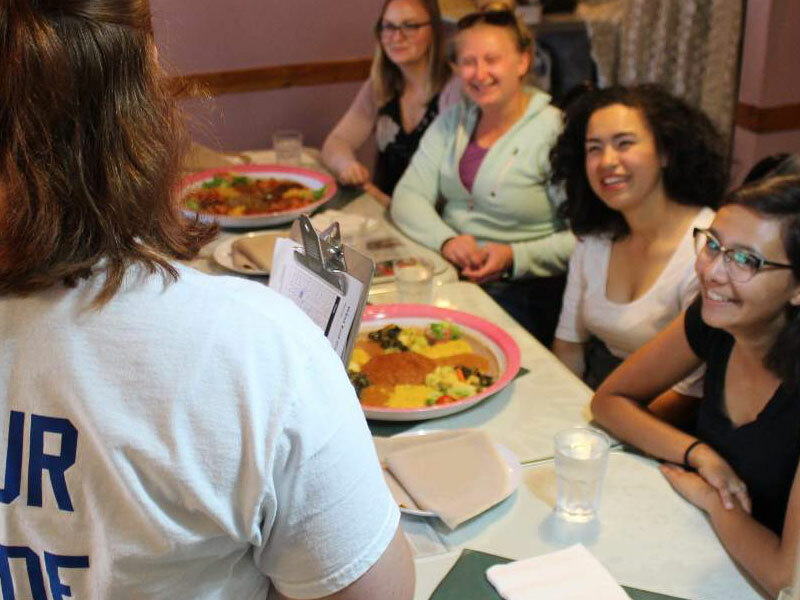 Or, taste the world in a few blocks with a West End BIZ food tour, which offers samples of superb dishes from diverse ethnic eateries. Lengthen that spine and let your chakra shine in one of Yoga Public’s yoga classes. Get further into the stretch with a hot yoga session set in a far-infrared heated studio — a more comfortable level of warmth. For a zen state, gather the group of girls for some truly unique meditation experiences. Hover midair in a yoga hammock, as you are guided through beautiful meditation techniques, or immerse yourself in the healing tones of quartz crystal and Tibetan singing bowls. Pamper yourselves ladies, you deserve it. Don that fluffy white robe and put your feet up for Ten Spa’s signature pedis; the open area treatment room has great views of downtown. Try not to giggle too much while you’re in Borëa, Thermëa by Nordik Spa Nature's whisper-friendly zone, before you pick which outdoor thermal pool to sink into. Become enraptured by Riverstone Spa’s body cocoon which lets the thermal waters of Grotta Guisti purify and remineralize your skin. When the season is ripe for the picking, some great local food and product experiences can be had at farmers markets across the city. 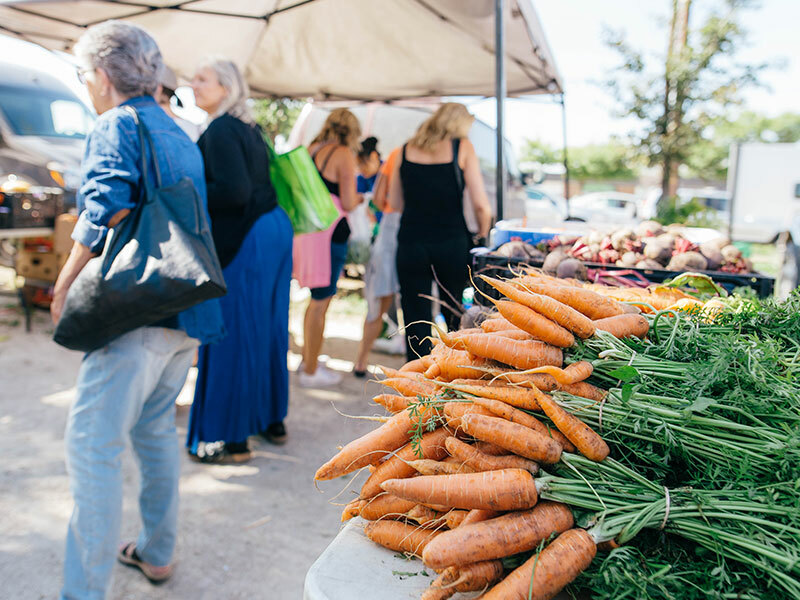 Select seasonal local produce in River Heights, a jar of preserves from South Osborne, or a carton of farm eggs in the urban setting of the Downtown Winnipeg BIZ’s farmers market. Gather your besties in front of Third + Bird’s photo wall, before selecting the best curated artisanal items at this extremely popular, twice-a-year urban pop-up market. 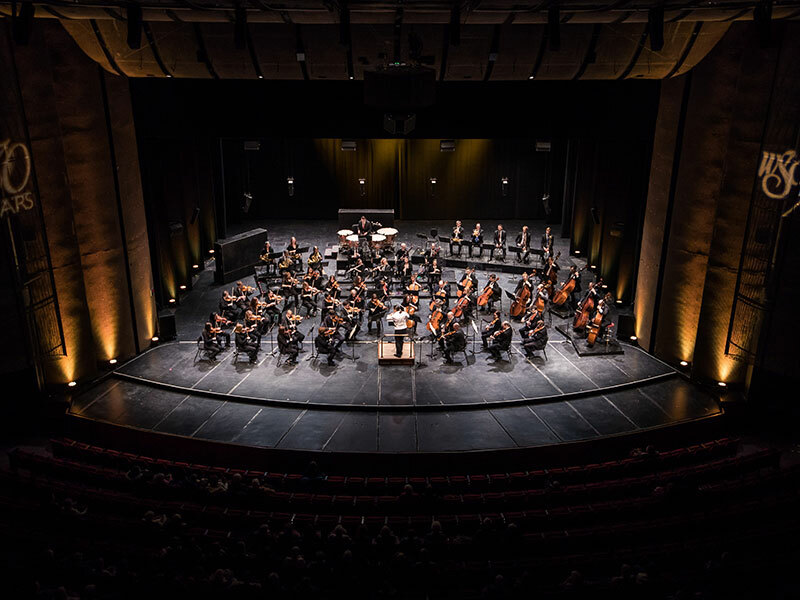 Have your breath taken away by the grace, pose, and talent of Canada’s Royal Winnipeg Ballet’s principal dancers, get fully engrossed in an intimate performance at Prairie Theatre Exchange or the Royal Manitoba Theatre Centre, or find your jam at the Winnipeg Symphony Orchestra. Feel like dinner and a show? Celebrations Dinner Theatre provides comic relief between courses with their zany mashup of musical performances. Hit the pavement together to learn about the city’s intriguing history, facts, and figures. 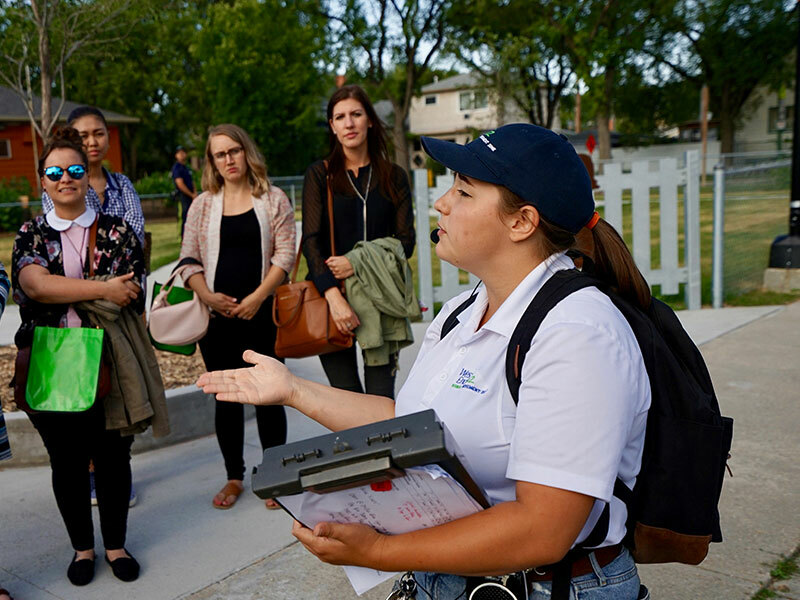 A guided girl-power trek through the Exchange District provides insights into the women who shaped Winnipeg, while the death and debauchery theme exposes the underbelly of the city – everything from drunk mayors to executions. Gain a better understanding of the urban murals painted throughout the city’s West End or what it was like to be a fur trader landing on the banks of the Assiniboine and Red River. Got squad goals? 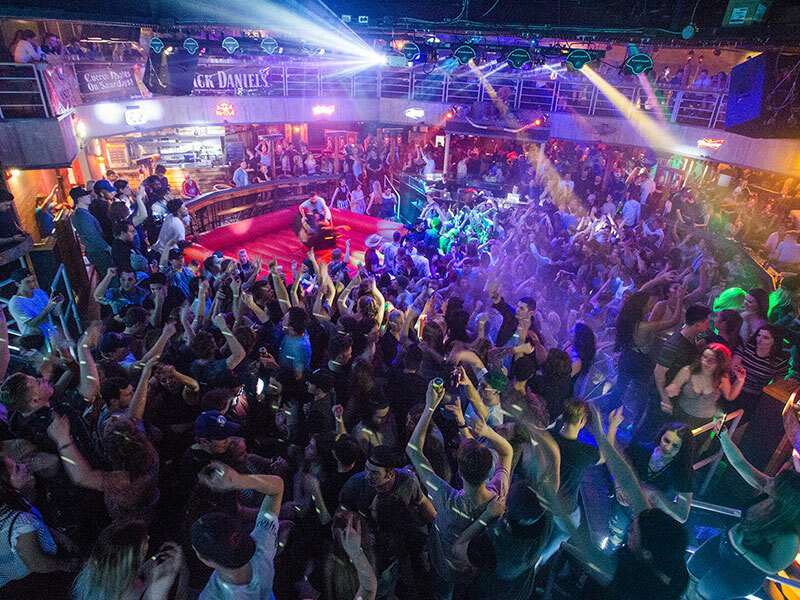 Hit the dance floor with your friends in Winnipeg's nightclub scene. Pop and lock to Citizen’s hip hop beats, dress like you want to meet someone on the dance floor at 441 Main, or booty shake at the world-famous Palomino Club. Join the high-energy dance floor of Fame, a LGBTTQ* nightclub, where you may brush up against some world-famous drag queens and pop stars. 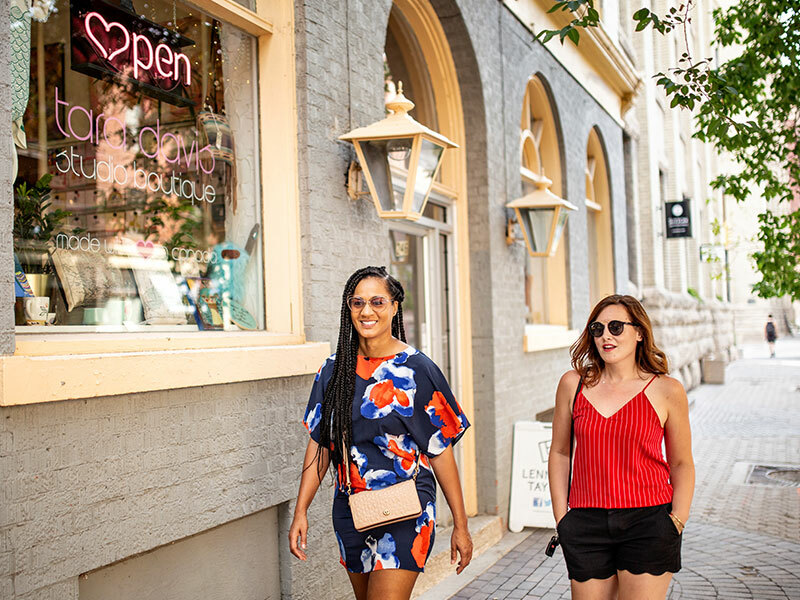 As the epicenter of the city’s art scene, the Exchange District boasts numerous galleries and collaborative art spaces to discover. 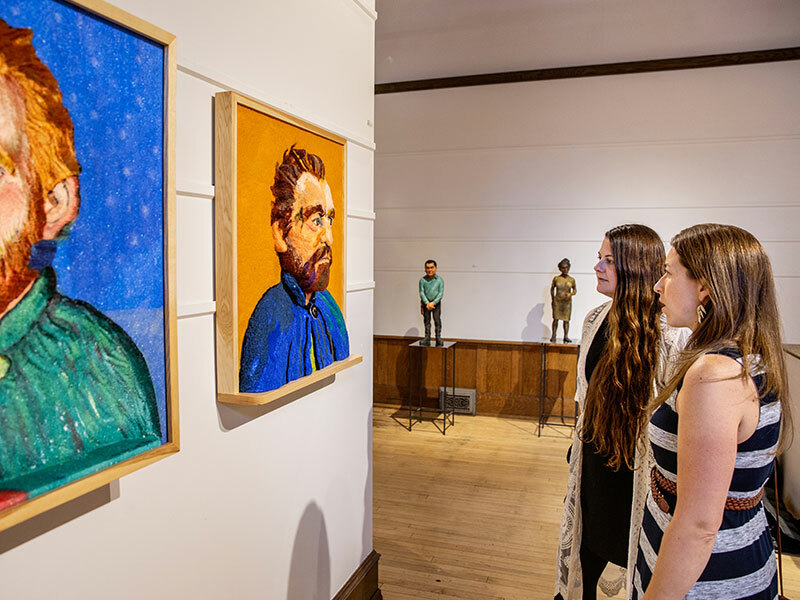 Explore the large-scale collection of Mayberry Fine Art, focus in on contemporary Aboriginal art at Urban Shaman, and see what the collective mind can conjure at Outworks Art Gallery, an artist run centre. Not sure where to start? Take a guided Art Talk/Art Walk hosted the first Friday of every month by the Exchange District BIZ.